Europe’s first underwater restaurant is complete and now welcoming guests below the North Sea in Lindesnes, Norway. 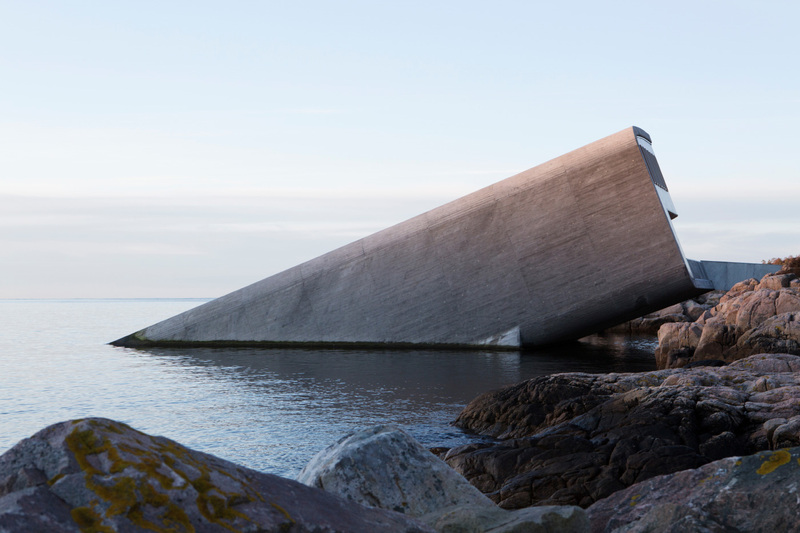 The Snøhetta-designed “Under” lies partially submerged on the coast of southern Norway, terminating in a dining room 16 feet below the ocean’s surface. The restaurant and marine biology research station is wrapped in thick concrete for its entire length, creating an imposing, 111-foot-long “periscope.” The concrete at the lowest portion is one-and-a-half feet thick feet and surrounds a 36-foot-long, 11-foot-tall window wall in the dining room that provides guests with a view of the ocean floor. The structure’s finish was kept deliberately coarse to encourage mussels to anchor to the building, so that the structure will eventually grow into a reef and purify the surrounding water. Construction on the concrete monolith was done on a barge off-shore before the structure was lifted to its final home and tilted into place. Inside, Snøhetta chose to utilize materials that intentionally emphasize the transition from Lindesnes’s harsh environment to the dreamy marine world below. The oak-wrapped entrance gives way to ceiling panels clad in textile that gradually change color, which Snøhetta claims is “a metaphor for the journey of descending from land to sea.” Speckled terrazzo floors reference the mottled sea floor visible from the dining area. Under is expected to welcome 35-to-40 diners every evening, but when not in use as a restaurant, the building will act as a hub for studying the local marine life. The sea around Lindesnes is extremely biodiverse, and researchers will use an array of cameras and sensors mounted on the facade to document the population and behavior of local fish. That information will in part be used by the kitchen to help determine how to sustainably harvest sea life from the surrounding area. 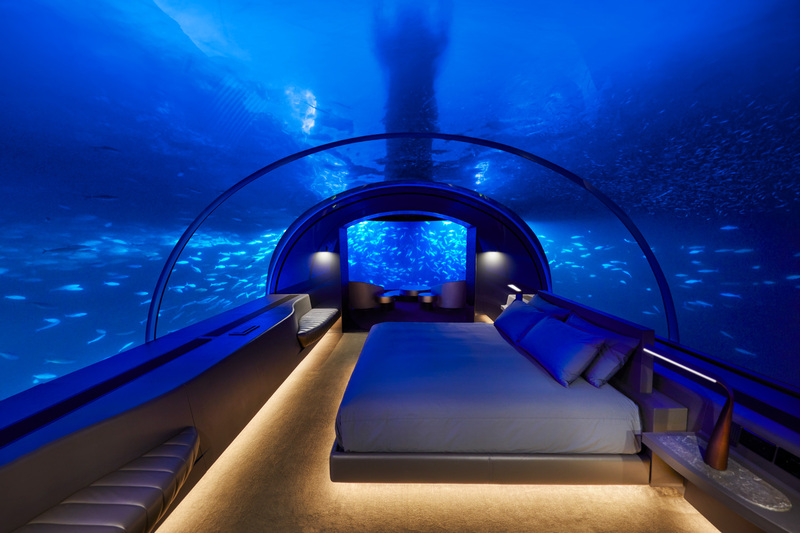 Interested in dining underwater and don’t mind a trip to Norway? Under is now taking reservations. On the southernmost tip of Norway, diners may soon be able to enjoy their meal under the waves. 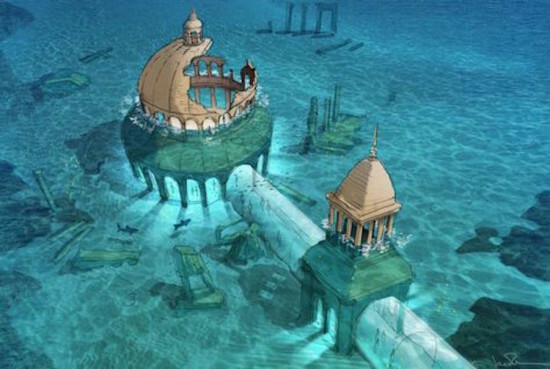 Snøhetta has revealed designs for a new underwater restaurant called Under. 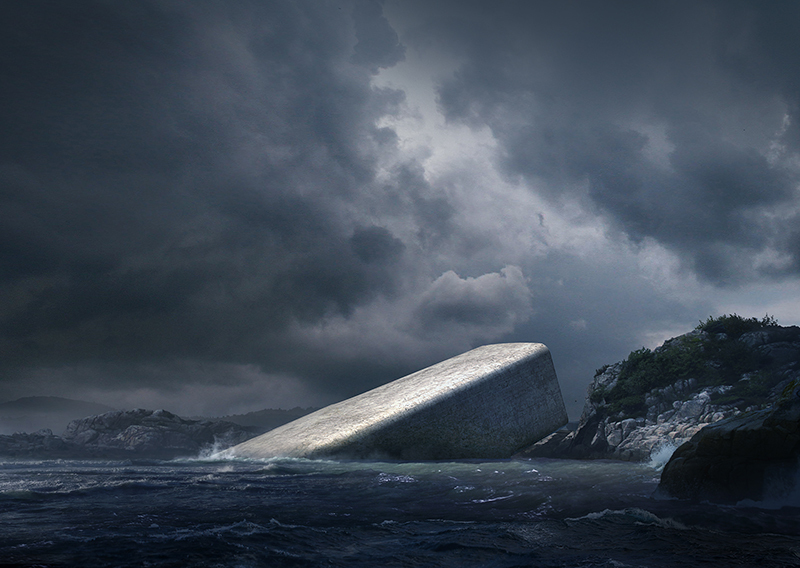 The renderings show a half-sunken concrete shell that rises from the ocean like a ruin. The building will also house a marine life research center, and was designed to co-exist with the marine habitat to eventually become an artificial mussel reef. According to the firm, the restaurant's concrete walls will be more than a yard thick to withstand the force of the ocean, while its smooth outer form is encased in a craggy surface that mussels can latch onto. The artificial mussel reef that forms over time will help to clean the waters and attract more sea life to the area. 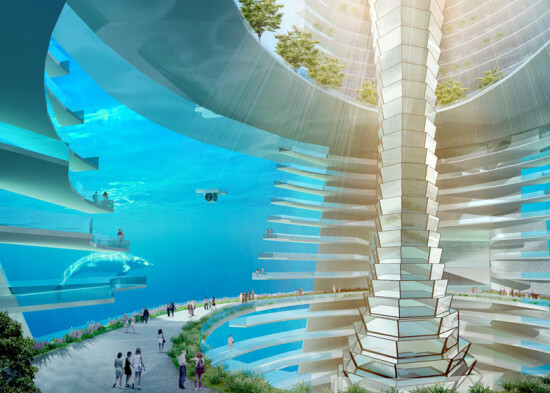 The underwater portion of the building, which comes to rest directly on the ocean floor 16 feet below sea level, opens at one end with a 36-foot-wide panoramic window that looks out into the ocean "like a sunken periscope." 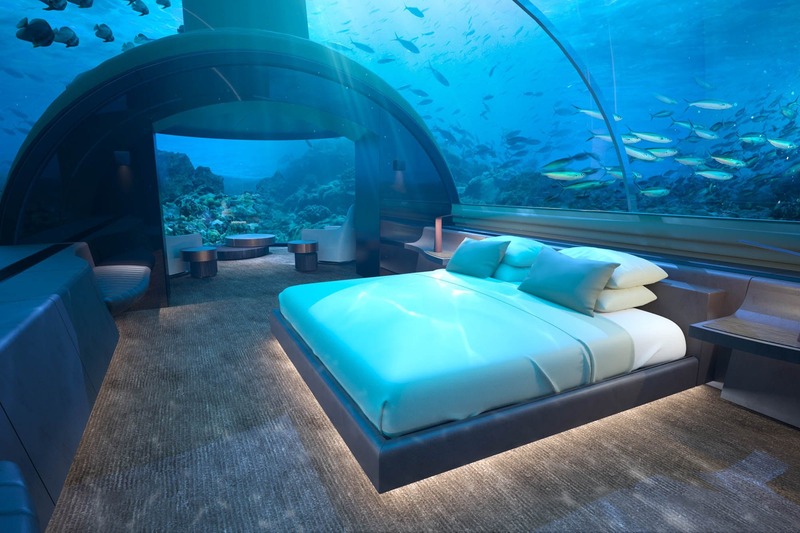 Even the lighting has been designed to co-exist with and encourage marine life, set to dim and also installed on the sea bed itself. The three-story building invites guests to descend from the coastline into the coatcheck area, then below to the champagne bar, with the dining room at the lowest level seating 80 to 100 guests. The menu, of course, features locally-sourced seafood. Beyond the restaurant's operating hours, research teams from Norway and elsewhere will be able to study wild fish behavior through the seasons and experiment with creating optimal conditions for sea life to flourish in proximity to the building, while the pathway to the restaurant will be planted with plaques that inform visitors about local marine biodiversity. While Snøhetta has made prior forays into waterfront and environmentally-conscious architecture, this is the firm's first underwater building.